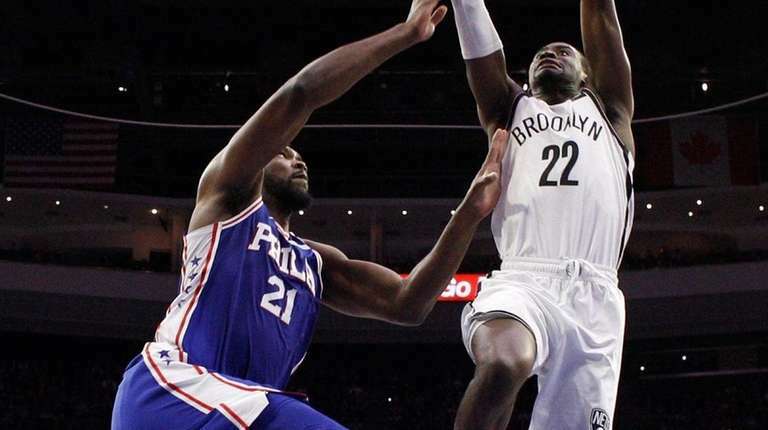 Brooklyn promises it won't be pushed around by Philadelphia at Barclays Center. It was the final minute of the first half of Game 2, and while 76ers stars Joel Embiid and Ben Simmons were playing with an aggressive edge, the Nets really hadn’t budged. 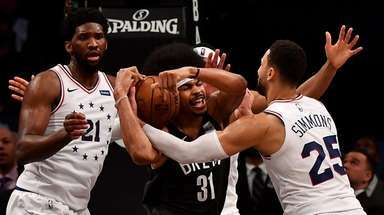 So, the 7-foot, 260-pound Embiid took it to another level, backing hard into the paint, pivoting with his elbows flared and decking Nets center Jarrett Allen with a left elbow to the mouth. The whistle blew, Allen celebrated the refs finally crediting him with drawing the charge, and Embiid was hit with a flagrant one technical that easily could have been called a flagrant two and gotten him ejected. After Allen tied the game with two foul shots, Nets rookie Rodions Kurucs got into the action, tangling with Simmons and getting called for a flagrant one after hitting Simmons in the face with a forearm. 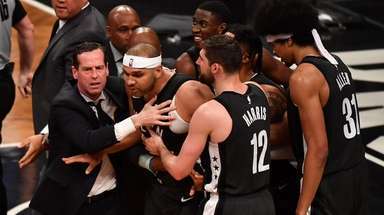 The first-round playoff series was on at that point, but a young Nets team didn’t really understand exactly how physical playoff basketball could be until the 76ers dropped a 51-point KO punch on them in the third quarter of a blowout win that evened the series at 1-1. 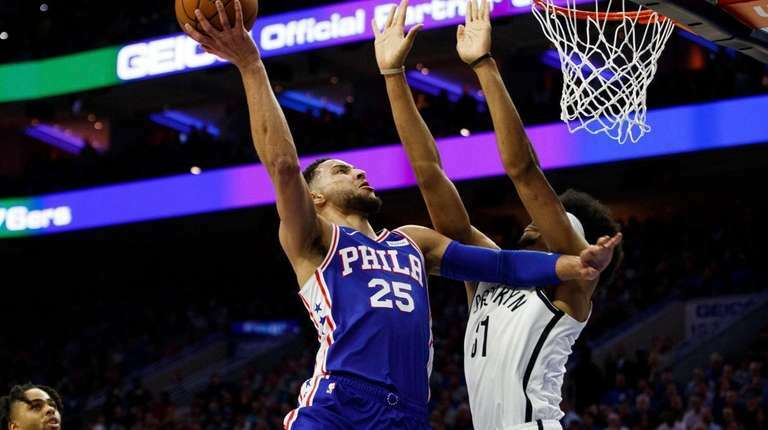 When it was over, the 76ers had outrebounded the Nets 49-32, outscored them in the paint, 62-48 and built a whopping 21-9 margin in second-chance points. Lesson learned? The Nets know they’re in for a fight in Game 3 Thursday night at Barclays Center. “I think we got a little rattled,” Nets veteran DeMarre Carroll admitted. “In the half-court, we’re getting stops, but it’s the second-chance points. They’re pushing us in the back, holding us. Carroll had no problems with the elbow Embiid threw at Allen, calling it typical of playoff basketball. 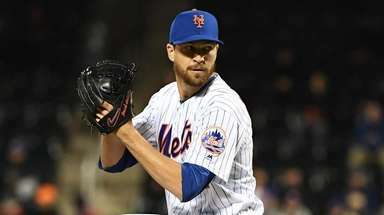 “You’ve just got to take it sometimes,” Carroll said. Far more upsetting to Carroll is the fact that the 76ers have shot 74 foul shots through two games compared to 55 for the Nets. Embiid alone has 26 free-throw attempts. defended Nets star D’Angelo Russell. 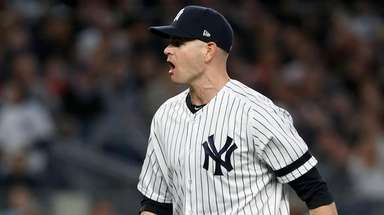 One reason Simmons was so much more effective in Game 2 is that Nets veteran Jared Dudley, who covered him much of Game 1, sat out with right calf tightness. 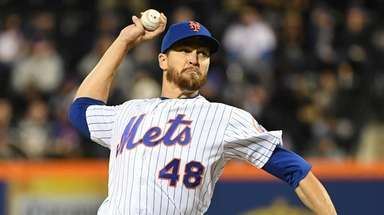 Kurucs brought plenty of energy to the task but not as much know-how. That’s the approach all the Nets must be prepared to take with Embiid and Simmons, who are going to keep attacking the basket hard until the Nets show they can stop them.